Sebastian Quintero is a musician and guitarist from Tacoma, Washington. Growing up Quintero started music on the violin at age 5, but quickly found his way to guitar by 8 years old. Quintero began his study of guitar in Jazz and various rock and folk bands. At the age of 14, he joined on as guitarist of the Olympia High School Jazz band, where he was featured as a soloist in every concert he appeared in. Shortly after this venture, Sebastian began to perform as a singer and songwriter in bands around Tacoma and Olympia, WA. At this time he also played with various jazz ensembles, and participated two years in a row as a performer at the Bellevue Jazz Festival. At 16 Quintero began to study the Classical and Spanish guitar. That year, Sebastian won the solo division at the regional Solo and Ensemble competition, and was a part of the guitar trio that took first prize at the state level for the same competition. Quintero also began to study Flamenco with internationally known guitarist Marcos Carmona that year, and eventually began to work with the dancer Marisela Fleites-Lear. In 2015, Quintero moved to San Francisco, CA to study with famed guitarist Marc Teicholz at the San Francisco Conservatory of Music (SFCM) where he earned a Bachelors of Music. Quintero received coaching and participated in masterclasses with Sergio Assad, David Tanenbaum, Lawrence Ferrara, Manuel Barrueco, Judicael Perroy, and Julian Lage. 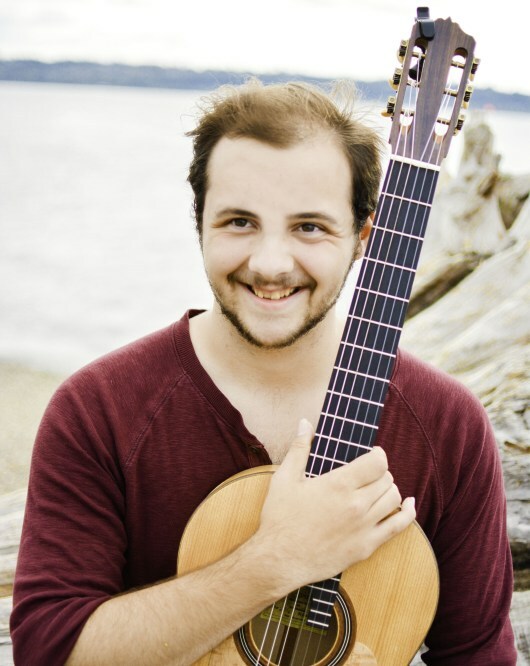 Sebastian Quintero currently performs up and down the west coast playing Jazz, Classical, and Flamenco guitar, as well as performing his original songs. His hobbies include nerdy coffee activities, making puns, and spending time with his friends and family.